Description: Lupus Awareness on V101.5 and 93.3 The Beat Radio Stations in Jacksonville, Florida , Community Viewpoint Talk Show: Host Mike Smith. 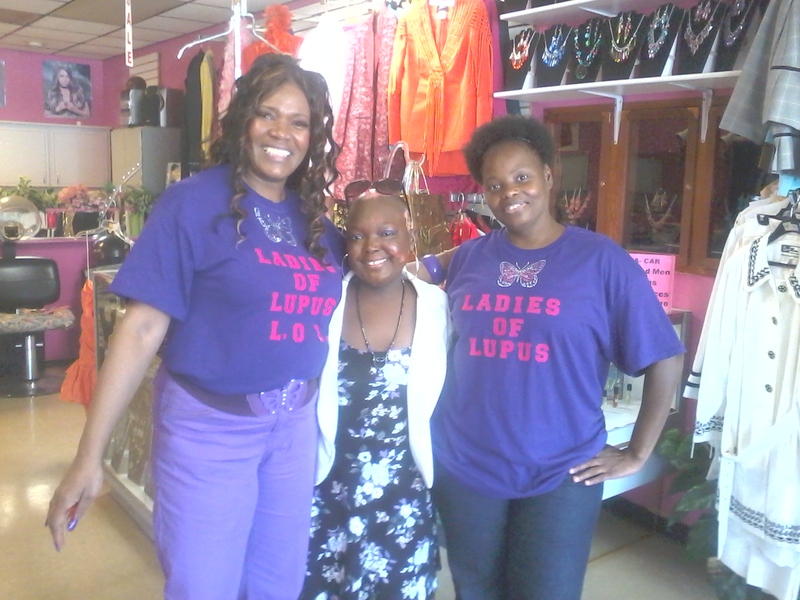 Featuring Gail Carter-Cade of GA LA CAR Community Outreach - Ladies of Lupus Raising Awareness of Lupus Symptoms and Solutions to Save Lives. 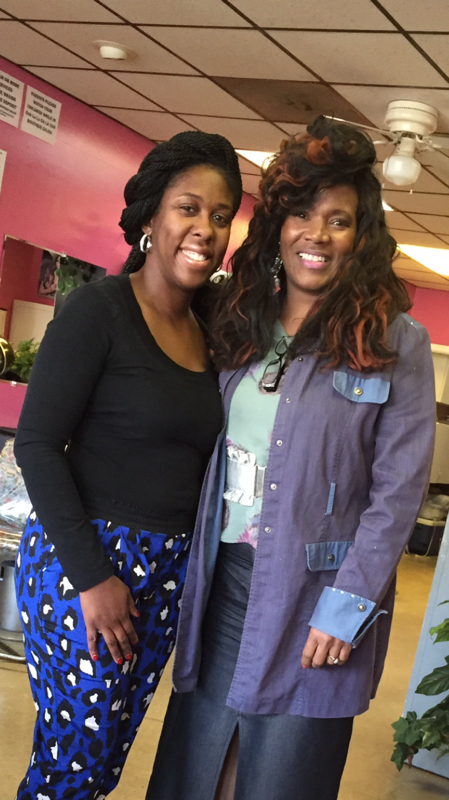 The Ladies of Lupus free hair extension services was held on Saturday, May 31, 2014 at GA LA CAR Boutique Salon 10am to 2pm. Hair weaving extension services was applied by GA LA CAR styling team and the hair extensions was provided by Y and Y Beauty Supply. Required Consultations was be held on Thursday, May 29 and Friday 30, 2014 between the hours of 5pm to 7pm. The option to bring your own hair of choice was available or may be required. Free hair weaving for lupus patients We know that many people going through cancer treatment lose their hair. Something you might not know is that lupus patients also deal with thinning hair. Frank H. Peterson Academies of Technology. 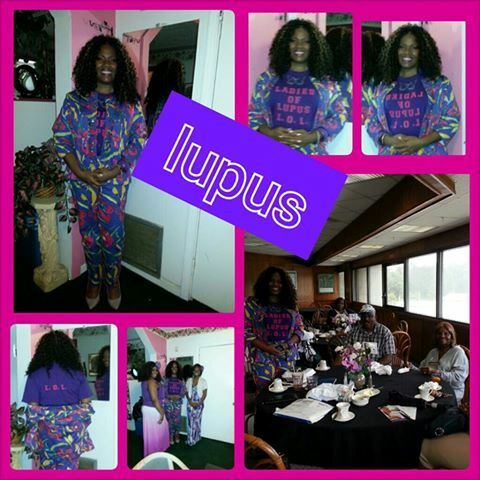 Lupus Gets a Makeover Event. We invite you to join us in our efforts. By working together, our joint efforts can promote lupus health care awareness, access and continue to increase health quality. 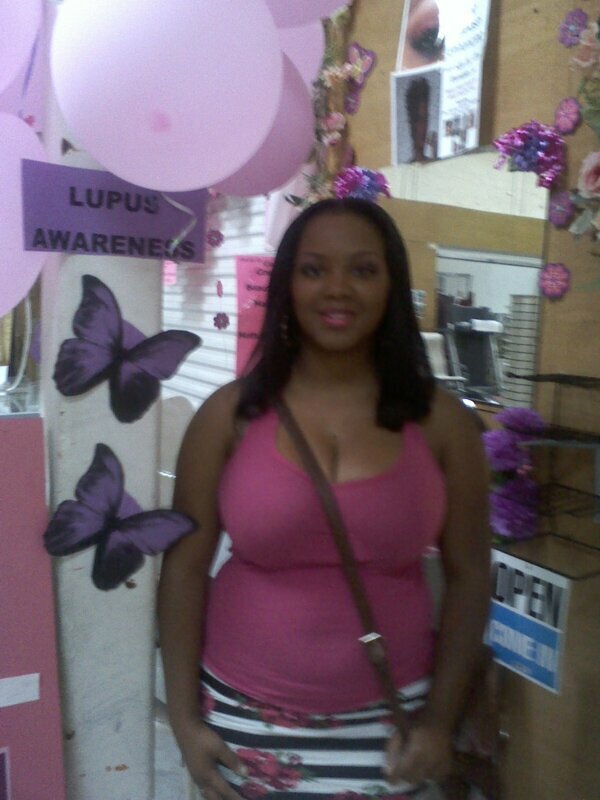 Wear something purple at Lupus Awareness events. 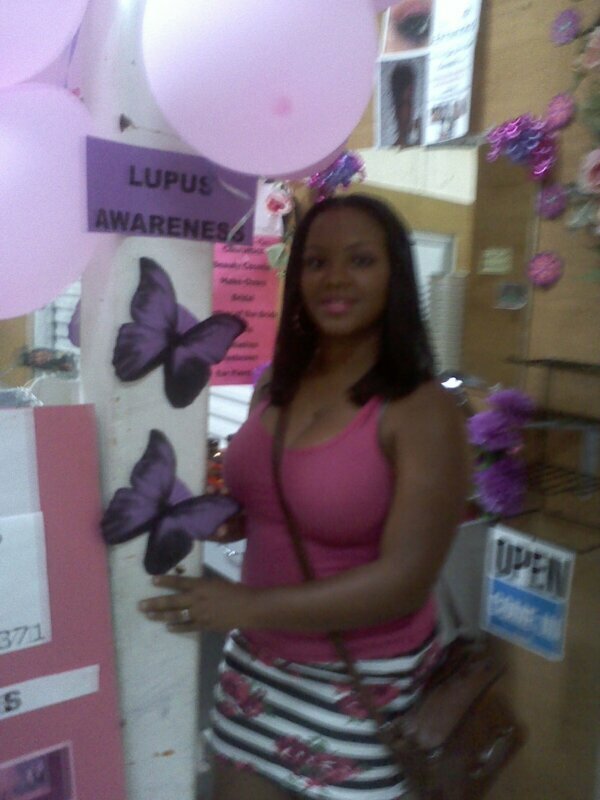 Purple is the color and a butterfly is the symbol for Lupus.